As someone who wears makeup almost daily, I have always struggled to find a good eye-makeup remover that would work well without irritating my sensitive eyes. It seems that I have tried almost everything on the market - from various cleansers to oil based removers and wipes, but they were always either too greasy, too irritating, or not effective enough. It's been a huge struggle for me to find just the right product and I was starting to feel frustrated and disgusted. For a while, I have settled for using organic coconut oil as a makeup remover and that seemed to have been working really great, until I got sick of the greasy feeling all over my face. Coconut oil is really wonderful and beneficial, not to mention fabulously smelling, but it is not too good for the hot and humid summer time. Plus, the oil started to clog my pores and break me out - so not fun! Then one day I discovered We Love Eyes on Instagram and I instantly fell in love (pun intended). What you need to know is that I am huge fan of tea tree oil products. I use the Body Shop's tea tree oil face wash daily and I love their tea tree face mask! I even have a bottle of 100% pure undiluted tea tree oil from Apothecary Extracts and I add a couple drops to my shampoo for a squeaky clean feeling and healthier scalp (it's also awesome for mosquito bites!). But, honestly, it had never crossed my mind to try and wash my makeup off with a tea tree oil solution! Dang, ladies! I have been living in the dark for way too long - this stuff is ah-mazing for your eyes! 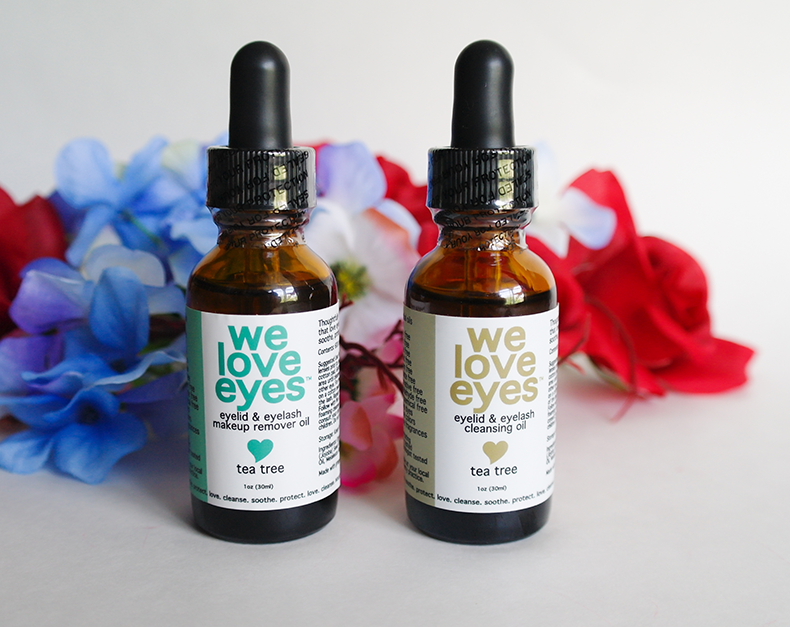 The fabulous folks at We Love Eyes were kind enough to send me two of their products - the Tea Tree Makeup Remover Oil and Tea Tree Eyelid Cleansing Oil. They both come in 1oz glass bottles with a dropper and they're very straightforward to use - all you need is a few drops (about 5) on your cotton pad! I have been using both products religiously for over a month now and have no plans of switching to anything else. I don't think I've ever been happier with a makeup removing / eye cleansing product before. We Love Eyes is absolutely amazing! The makeup removing oil is a dry oil, which means that unlike coconut oil and many other oil-based cleansers, it will not leave your eyes feeling greasy or oily, and it will not blur out your vision. Like the tea tree cleansing oil, it's made with only three ingredients - tea tree oil, jojoba and grape seed oil. Moreover, it's completely vegan and cruelty free, preservative free and contains no harmful or irritating substances whatsoever. Before I started using it, I was a bit worried that it might cause a burning sensation or redness, but it actually does not. It's very gentle and soothing, but it's also extremely effective. I think it is safe to say that I have found my holy grail of eye-makeup removers! The cleanser is just as wonderful. I use it after removing my makeup to remove any remaining impurities from my eyelids and under-eye areas. 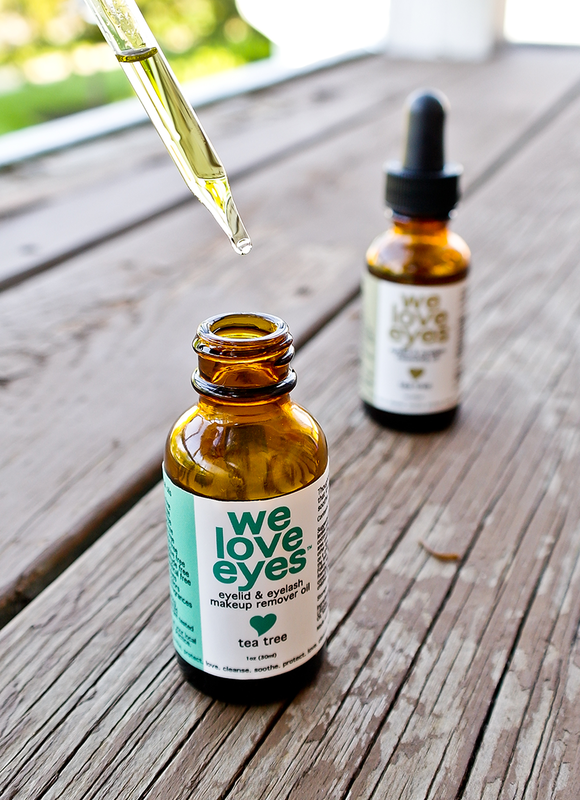 Tea tree oil has anti-microbial and anti-bacterial properties, so it's really good for your eyes. It doesn't just remove makeup, it also keeps your eyes healthy. Both products smell very invigorating and fresh, and I find that they work together great. 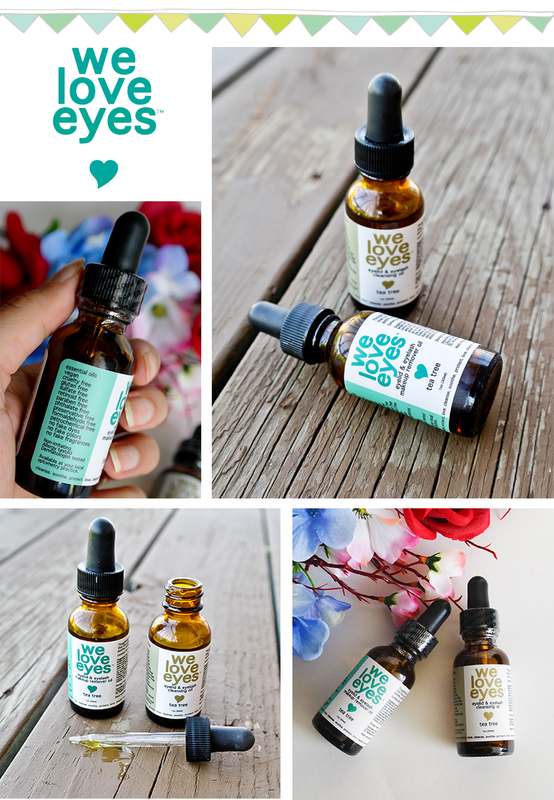 If you've been suffering from dry/irritated/itchy eyes, or you simply need a new makeup remover / cleanser, I definitely recommend checking out We Love Eyes. You won't regret! ➵ What is it made with? ➵ Is it natural and safe? We Love Eyes was developed by Dr. Tanya N. Gill, OD as a solution to solve a problem. 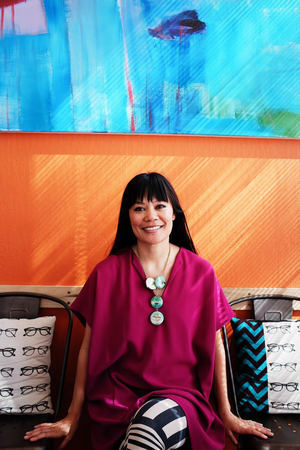 For over 15 years, she has been diagnosing and treating dry eyes and blepharitis at her private practice in Oakland, Ca. One day it dawned on her that the existing eye makeup removers and cleansers were perhaps contributing to the symptoms that many of her patients were complaining about. Dr. Gill did some research and discovered that most products on the market contain chemicals that are toxic & harsh to the delicate tissue of the eyes. In addition, Dr. Gill also discovered that there were very few non-toxic and natural products available for cleansing the eyes . . . We Love Eyes was born!